Why UV Printer Is Stronger Than Ordinary Inkjet Type? Home > News > Why UV Printer Is Stronger Than Ordinary Inkjet Type? UV printers use the emerging advanced printing technology. UV printing ink is an oily UV-resistant ink, in general, can be kept for 5 years outside without fading, but ordinary inkjet printing machine will only kept for six months. ‍Inkjet printers and UV printers use different nozzle lights. In general, the common inkjet nozzle is Mercury Lamp, and the printed picture will take a long time to dry. UV (UV abbreviation) printer's nozzle is UV Lamp, using UV light curing technology, can make ink instantaneous chemical reaction when sprayed. 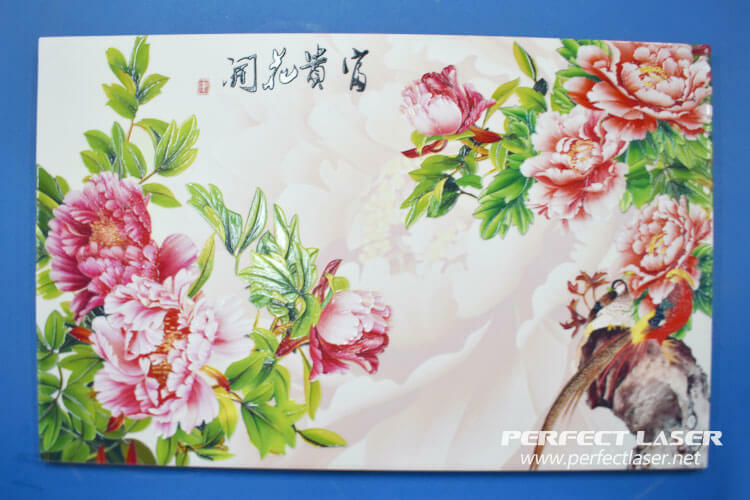 Our production of UV flatbed inkjet printer uses high-speed, high-precision, high-quality Epson dual nozzle, with high production efficiency, save more time and reduce production costs and other advantages. UV flatbed printer can print on a lot of material, so UV flatbed printer is also called universal printer. UV flatbed printer can print glass, ceramic tile, wood, leather, acrylic and other materials, widely used in the advertising industry, the leather industry, toy printing, mobile phone shell printing, building materials industry, etc.There is no need for prior treatment of the material in advance before treatment. Also there is a limit for ordinary inkjet printer. Not all material can be printed by ordinary inkjet printer. In addition, the UV printer printing sample has a strong sense of stereoscopic, and has the characteristics of corrosion resistance, friction resistance and so on. UV flatbed printer nozzle are industrial, high precision, and mass production quality. The ordinary inkjet printing samples will fade after millions of printing. But UV can not. Perfect Laser is a professional company engaged in R & D, production, sales, training. Choosing our products can achieve excellent production efficiency, so can satisfy all kinds of industries needs. If you want to know more,please click in Perfect Laser UV flated printer.